The Hold On button gives you the few precious seconds (or minutes) you need to get ready for your incoming call. Tap a status to politely tell callers why you can’t answer. Your call reminders can be managed in the call log. With the dropdown incoming call screen, put your caller on hold and finish taking the photo or video. I really like the utility and innovation this app brings to an interface we use all the time. The assistant answering is awesome and really looking forward to seeing this available on phones sooner than later. I absolutely love this app and the idea behind it! It brings a whole new level to the table when it comes to phone calls. It makes things a lot easier and allows you to let people know that you are doing something at the moment and will get back to them soon. And the idea to screen the call and let them say what they are calling about before you actually talk to the unknown caller is brilliant. Honestly I'm really supersized that no one has come up with this idea sooner. The concept behind this app is great! It showcases a number of innovative functions that I could use for friends, family, and many co-workers! I had the opportunity to test out this app, and was super impressed. It provides solutions to problems that many of us face-- literally-- everyday. The user-interface is really simple. Even a first-time user could easily figure out exactly what each button does. I'm a big proponent of avoiding distracted driving, and this app could go a long way to helping. The interface is very intuitive and easy to use. It's great to see how many people have identified an unknown caller as spam before I go through the trouble of answering or blocking a call. The "calling assistant" is also a much friendlier way of letting people know why you are rejecting their call at the moment (either because you are working, driving, etc.). All in all, a very successful app. Love this app; can't wait for it to be out of beta. What I didn't initially notice--but LOVE--is that it gave me a heads-up reminder to call the individual back whose call I couldn't immediately answer. This is going to be PERFECT for my work phone. Must tell everyone. I was able to put this app through a "usability test." Mind blown! This is a great idea for all types of busy people - moms, executives, truck drivers, nurses, contractors - anyone who receives numerous calls throughout the day. It allows you to put people on hold and reminds you to come back to them, send them to voicemail or text, block spammers, etc. Why don't all phones do this now? Such a no-brainer! Get this app and improve your life! This would seriously be one of the best additions to phones. People who use their phone a lot or those who have a tendency to forget to call people back could really use this. My husband needs this for sure; I showed him the demo and he was blown away. We need to make this happen! Great app- should come standard! I really liked all the features included with this app! I think this would be a great addition to any operating system, functioning in place of the standard phone app. I think this app has a great use! You can let your friends know you will get back to them when you can't answer and the app will remind you to call them back. Your friends will no longer feel like they got the "FU button". Additionally, it will screen and block those pesky and unwanted spam and solicitation calls. I would absolutely love something like this on my phones calling screen. It would make things so much easier for someone who has a crazy complex life and get's 30 calls a day!! Everyone Needs This App 💕 This app is a life-saver! 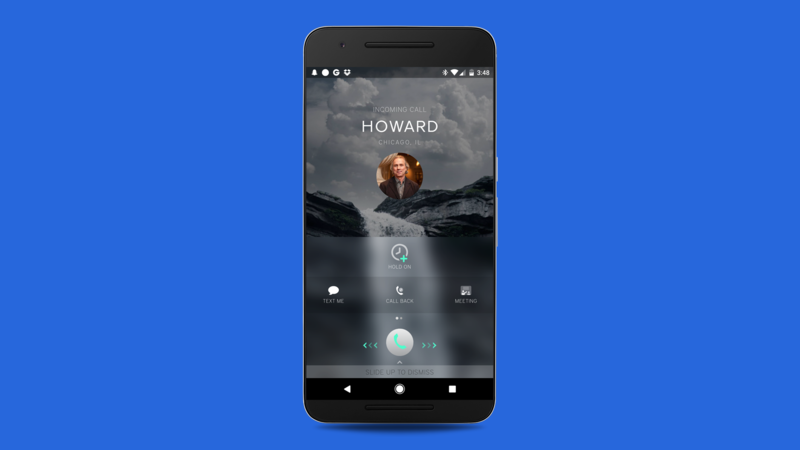 I don't have to worry about the hassle of the inevitable onslaught of calls during important meetings or while driving because this awesome app can actually put people on hold for me (with music!! ), let them know I'm busy and will call them later AND even reminds me to call them. You can screen calls so easily, as well as block those pesky marketers.... Truly a great app. Thank you for building this! It's perfect for unwanted callers. I love being able to let people know I'll call them back and I get a notification to do so! I love this app!! The best part is the screening feature. You hit a button, and it asks the person calling to give a few second explanation of why they are calling. This is great for spam callers! I usually just reject unknown callers, but now I can screen them and see if a friend is really calling. The app works great and I think this app should be built into a phone when you first get it. Quite an awesome concept. This application, if implemented in phones, would bring back a human touch in the midst of a sometimes overwhelming technological world. 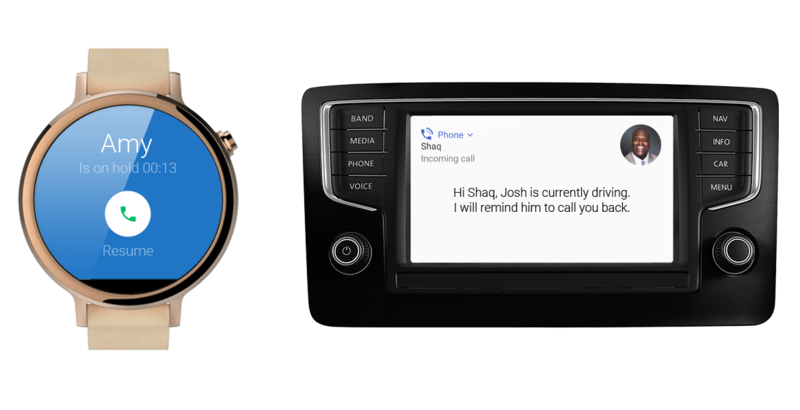 The Call Assistant provides options to put a caller on hold, have the virtual assistant read out a "polite excuse" to the caller, and even screen unknown numbers. The fact that these features have not been adopted by any major phone producers already is unbelievable, and TiP Solutions definitely has a hit on their hands if marketed correctly.